BRIGHTON — Jade Osceola just may have been born to teach at Pemayetv Emahakv Charter School. As an elementary school student in the 1990s at Seminole Elementary School in Okeechobee, Osceola was one of the students who participated in the Friday pull-out program. Once a week Tribal students were allowed to attend culture class on the Brighton Reservation to learn Seminole culture, history and legends. It was Osceola’s favorite class. Osceola always had a knack for simplifying things; when she took Creek language at Okeechobee High School, she knew she could make it simpler. As a college student, she realized teaching came naturally when her roommate told her she was good at explaining things. After graduating from Edison College in 2004, she was offered a job helping to teach Seminole history at the Friday pull-out program with her uncle Willie Johns. The Friday program eventually led to the creation of PECS in 2007, where Osceola taught Seminole history with Lorene Gopher, one of the school’s founders. In 2008, she was given her own classroom and taught history until 2015. 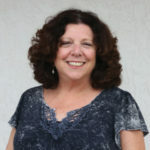 In 2016, she began teaching Creek language 1 and 2, an accredited high school class, to PECS’s seventh- and eighth-graders. 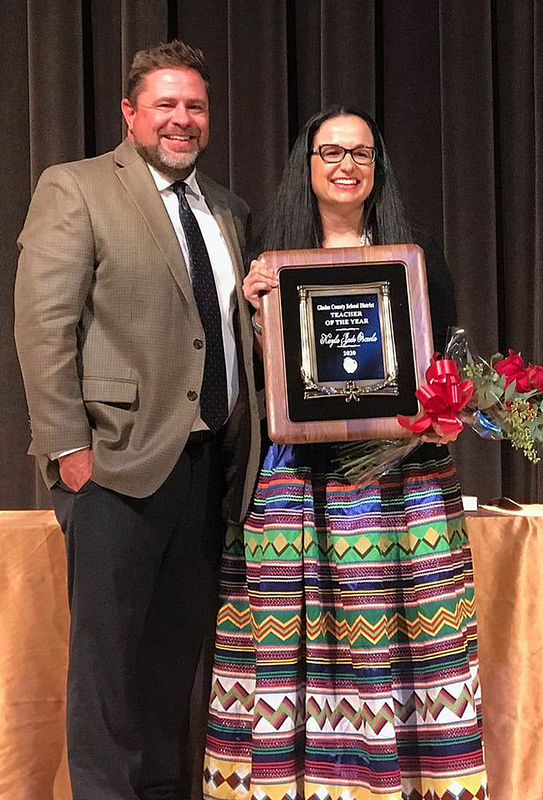 On Jan. 10, Osceola was named Glades County School District Teacher of the Year 2020. It was the first time her name was on the ballot. She did not expect to win. 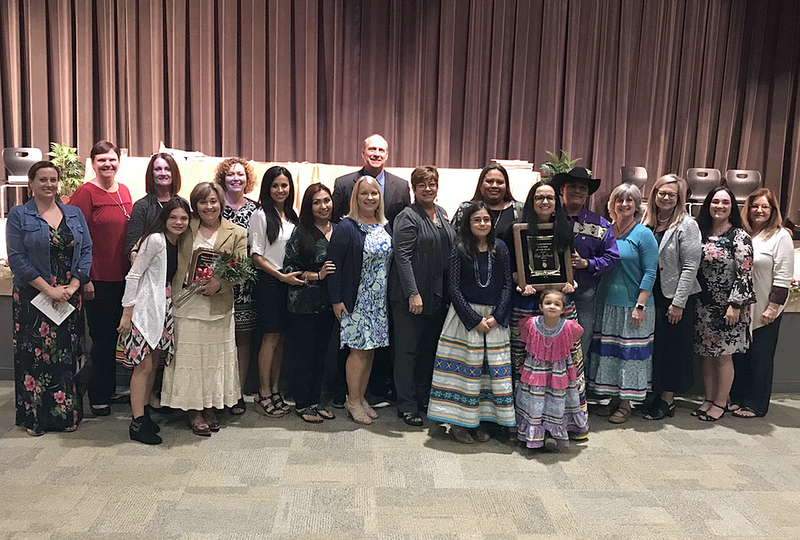 Although Osceola doesn’t take credit for the curriculum of her class – it was developed by Marcus Briggs-Cloud, culture coach Eduarda Anselmo, Osceola and Tribal elders – it is Osceola who brings it to life for her students. Osceola isn’t quite fluent in Creek; she is a second language learner just like her students and often learns what she will teach them the day before class. She never loses sight of the importance of teaching language. Osceola is also proud to teach the students about their identities as Native Americans and she encourages them to practice speaking and to text each other in Creek. Like all teenagers, they want to figure out who they are. The biggest challenge she faces is time; there is never enough of it.